O mind! Take shelter of Shyamsunder's soft Lotus Feet. Ones you call your own: mother, father, brother and son, will not accompany you after death. 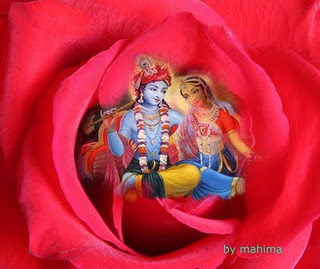 Moreover, there is no other way of escaping from the clutches of demons like Lust, Anger, Greed, Attachment and Pride. This world is like a mirage, containing not even a trace of happiness.. Wealth, youth and life are temporary, disappearing like camphor.